For me, September feels like a new beginning. It reminds me of going back to school as a child with a blank notebook, newly sharpened pencils, and a clean slate. As the season begins to change, September is the perfect time of year to tackle new projects and create new habits. 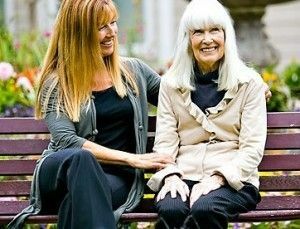 If you are a caregiver of someone with Alzheimer’s or another form of dementia, perhaps this is a good time to create a daily routine for both you and your loved one. There are many benefits to creating a daily routine for both the caregiver and person with Alzheimer’s or progressive dementia. Writing down a simple outline of your day can create more time for enjoyment and less time worrying about how to fill your days. Also, structure in their day is beneficial to alleviate agitation and reduce mood swings. Are there appointments or items during your week that are reoccurring? Does your loved one have a weekly physical therapy appointment? Do you get assistance during the week at specific times? Plan these reoccurring appointments into your calendar with time to prepare and travel if needed. Do you have some successful items that are currently part of your routine? Personal grooming, like brushing their teeth or combing their hair, when they wake up? Do they get dressed before breakfast or after? Do you walk the dog together every morning or afternoon? Build upon these successful activities. Schedule ample time for meals and snacks. Also consider booking some time to make a smoothie, tea break, or milkshake in your day. It is important that your loved one stay hydrated. Scheduling time in your plans to encourage hydration may be a helpful reminder. What is their best time of day? Many people with dementia experience sundowning. The evening may be the best time of day to schedule low-key and calming activities. See how their energy is throughout the day and plan accordingly. How was your loved one’s day typically structured before their diagnosis? If your mom was never an early bird, this probably would not Add plenty of their interests and hobbies in the schedule. The most important item to keep in your routine is bedtime. Try to keep their bedtime the same every night. Many with dementia may have difficulty sleeping, and a routine can help. Your schedule needs to be flexible and not every minute needs to be scheduled. Allow time for flexibility and rest throughout the day. The goal isn’t to exhaust them or you, but to reduce your stress and add a level of routine, variety, and comfort each day. Know there will be “off days.” Those days where your schedule can’t be kept or your loved one is just not up for participating. Don’t be discouraged; this will happen. Also, as they progress their energy, interests, and abilities will change. Their schedule will need to change with them. Don’t forget yourself in this schedule. Consider scheduling items that you will also enjoy, like an afternoon walk with the dog or gardening. When making your schedule consider a variety of tasks: grooming, chores, meals, meal prep, physical activity, social interaction (family members, friends, pets), creative (music, crafts, hobbies), spiritual (Bible study, services, mediation), and intellectual activity (reading, games, puzzles, newspaper). Once you have created a plan, you will find it easier to enjoy your time together. Evaluate your plan and activities as needed. If your loved one is irritable or disinterested, perhaps they need an additional activity. If they are low on energy and distracted, maybe consider a little more rest time.